ATTENTION SENIORS CLASS OF ‘19: All Senior portraits must be taken with Prestige Studios. Option 1 - Take your portrait at the Prestige Blossom Valley studio located at 1375 Blossom Hill Rd #64, San Jose, CA 95118. Contact # (408) 841-4003. DEADLINE IS OCTOBER 16TH. 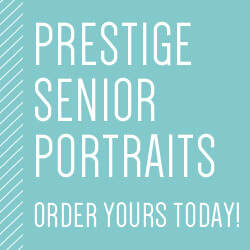 Option 2 - Prestige will be on-campus for senior portrait sittings in the fall. Please listen for announcements from the yearbook staff at the beginning of the year. The next on-campus round will be Sept. 4th, 5th, &6th 3:00p-7:00p in the school’s Library. LAST CHANCE on-campus round will be Oct. 15th & 16th 1:00p-9:00p in the school’s Library.